This page is a starting point for finding databases, websites, and other digital collections for United States History. 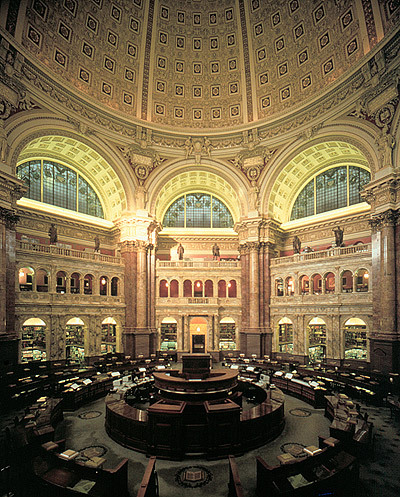 Key resources include America: History and Life for scholarly articles and American Memory, the Library of Congress digital archive of primary source texts, historical photographs, sound recordings, videos, and much more. American National Biography is a source for 18,000 biographies on notable Americans from history, and the Oxford Companion to US History provides detailed, encyclopedic articles on all aspects of American history. America's Historical Newspapers is one of many newspaper archives, and HeritageQuest, which contains (among other things) searchable U.S. Census forms from 1790-1930, is just one example of a specialized historical data collection. For books, of course, use Roger, UCSD's catalog. Look in Roger for links to Circuit, the San Diego-wide book catalog, and Melvyl, the UC-wide catalog. Click on the tabs above to find other resources. To be able to use all library services, set up your My Library Account. To get to a page with answers to the most common library and research questions, get help. To photocopy, and to print from library computers, use a your UCSD ID card. To see when the libraries open and close, check the library hours. To get materials not available on campus, find out about Requesting Books & Articles. To connect to UCSD from off-campus use these services. To create a downloadable bibliography of your research, set up a free account on RefWorks.